Aeroflot, Russia’s national flag carrier, is planning to base a considerable number of the SSJ100s from its recently announced commitment for 100 of the Russian regional jets, at several major airports in Siberia and the far east of Russia, Sukhoi Civil (SCAC), manufacturer of the aircraft, has revealed. A new regional strategy, currently under development, envisages Aeroflot setting up specific regional bases well beyond Moscow, in Siberia and in the Russian far east markets, and Sukhoi is consequently working on a proposal to optimise the SSJ100 cabin’s seating capacity, as well as a tailored customer support programme. “We still don’t know the final arrangement [required] for the new network, but it is clear that a significant number of these aircraft will be based in Siberia and the Russian far eastern region, not in the European part of the country,” says SCAC president Alexander Rubtsov. He adds that the manufacturer is also prepared to tailor its aftersales support programme to satisfy Aeroflot’s strategy in respect of the new regional hubs – by creating spare parts inventories at the relevant airports to support the operation of the fleet. “Regional inventories will be stocked as the aircraft are delivered and arrive at the regional hubs,” Rubtsov further explains. Allegedly, the list of candidate cities for the airline’s satellite bases includes Krasnoyarsk and another city in the Urals region. Sochi and St Petersburg have also been mentioned. “We’ll follow the airline to these regions,” Rubtsov affirms. In another development, those SSJs destined for regional services will also feature a slightly different cabin configuration. “Those newly-contracted aircraft which are scheduled for delivery in 2019 will come with the same two-class cabin layout as for those currently in operation today. But, regarding deliveries in 2020 and beyond, we are expecting Aeroflot to specify [the parameters for them] before the end of the year. 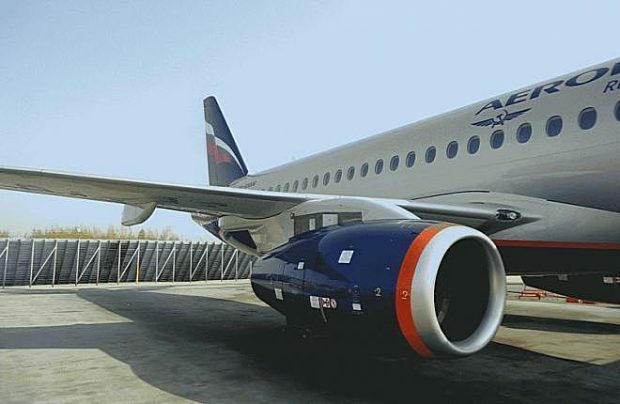 We have suggested several options for increasing the seating capacity of the new SSJ100s,” Rubtsov reveals, adding that the maximum number of seats for the type is 108. The delivery schedule for Aeroflot’s 100 additional SSJ100s currently stretches from 2019 through 2026. Rubtsov also reveals that those aircraft due for delivery after 2020 will have an increased share of Russian-made components, referring to the SSJ100R [Russianised] version of the aircraft, announced in April this year, which is intended to have up to 60 per cent of components produced locally.